Wake up to 2 different emails from the 2 CC companies I have the highest limits with. One bumped my limit up $5k and the other $7500. Find it odd they both did it on the same day when its 2 different companies and I didnt request it. Did you happen to open both at the same time or near the same time? Gav'sPurpleZ, Pressure Ratio, Blood on Blood and 1 others like this. White 911 Turbo are pretty rare. Not sure why as they look so good. I also looked at a white E46 M3 last week locally. Such a sharp car. 911 turbo, R8 & supercharged e46 m3. white e46 m3 would be awesome. He is a re-seller. I guess they are opening up a shop in south Naperville. Guy was nice and had some nice cars. He has two white e46 m3. Both are manuals and one has the ZCP Comp package. i have this one open in a tab..
i wonder how hard it would be to remove the blue vinyl. You have to watch his stuff though. I saw one car he had the price vary up and down 9 times in two weeks. From $44.5K to $54.5K. When I went to look at the car it was at $44.5K again. I got back to work 10 minutes later and saw he raised the price to $49K. Two days later the weekend was there and it was $54.5K. lol I'm out. With a heat gun, I bet it comes off easily enough. Then some Goo Gone to clean up the glue residue. this is enticing though too... i dont know why i like the hardtop z4's but i do. Pressure Ratio and Chester Copperpot like this. 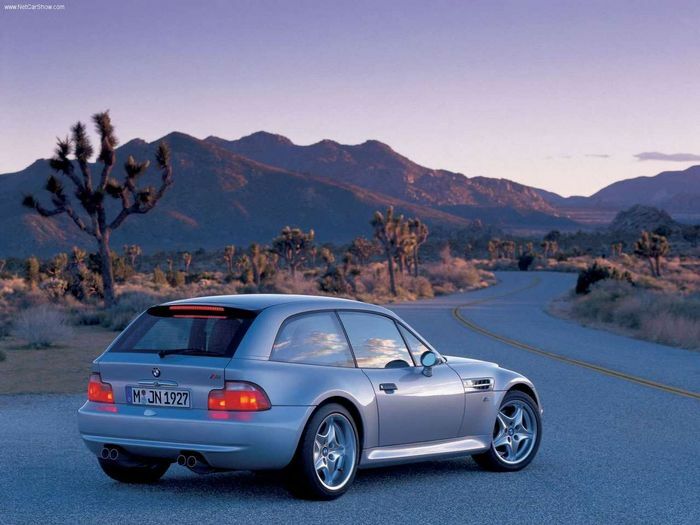 Z4 hard tops and Z3 wagons will always be a secret want of mine. Not so secret anymore. Yaj Yak and ragingclue like this. that z4 i think you could buy and probably not lose money on even. Excuse both of you unwashed plebs. Shooting brake. Yaj Yak, cmntmxr57 and ragingclue like this. Ya, if you keep it in good condition, how much more can it depreciate? Plus German engineering, so it will probably last forever with maintenance. i refuse to say those words. and with how low the miles are currently, you could even drive it. somewhat relevant to current discussion. I would drive it anyways. lol But exactly. Do it! unless i decide i need a waverunner with more power than the cars we've been talking about that depreciates quicker than i can spell "sea doo"
The SUV is cool. But pretty sure you are gonna think it is sportier than it really is.